In 2012, Time Magazine named Rene Redzepi & Claus Meyer (owners of NOMA restaurant) as two of the World's 100 Most Influential People, for putting Denmark on the world's gastronomic map, and for influencing a new generation of chefs around the world. The New Nordic Cuisine is about getting out into the countryside to forage for the best and most unusual ingredients. It's about experimenting and presenting exciting new ways of combining traditional foods. It's clean, elegant, natural and delicious. In this book, Mikkel Karstad, consultant chef and advisor to the NOMA team, takes this inspiration home. In his own kitchen he shows us how to make 5-6 different dishes from a selection of fourteen favourite ingredients. These range from fennel, berries and sage, to squid, beef and lamb. 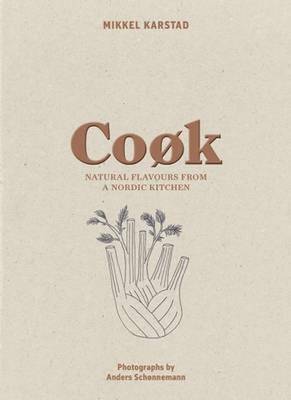 Beautifully yet sparsely photographed and designed, this book will take you on a culinary adventure into the heart of pure Scandinavian cooking.